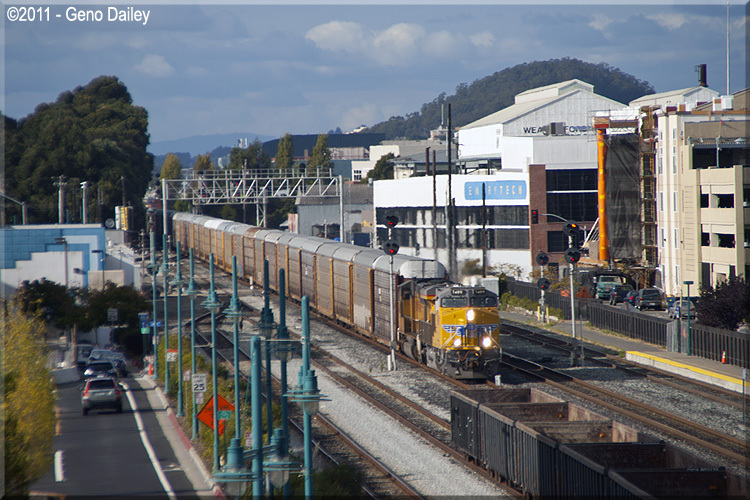 First up is an eastbound (Los Angeles is geographically east of San Francisco), is this Union Pacific auto rack train. Route from Buffalo to Chicago. 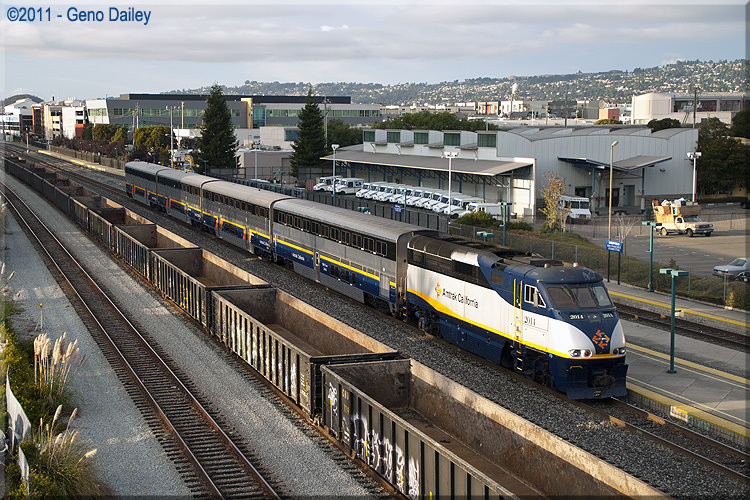 The first passenger train today would be Capital Corridor Train #738 with F59PHI #2008 pushing (note no headlights on). 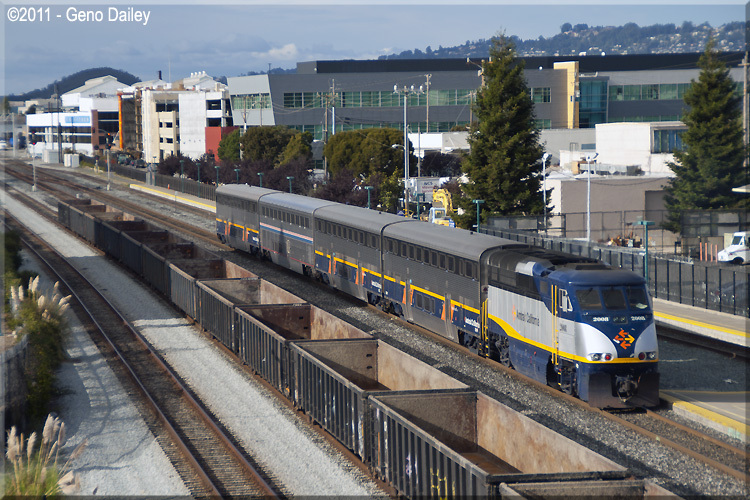 Capital Corridor and San Joaquin trains operate in "push-pull" mode on their routes. F59PHI's on these routes whenever there may be a power shortage. 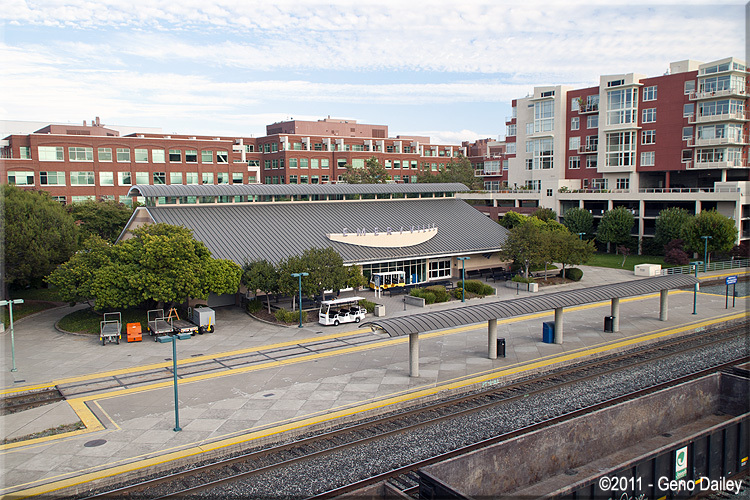 to the right of the station with those nice trackside views! 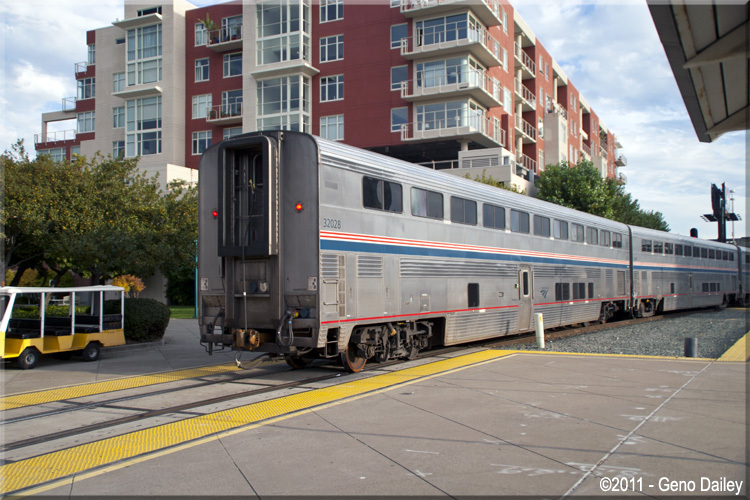 State of California, repainted, renumbered and is used on these trains. 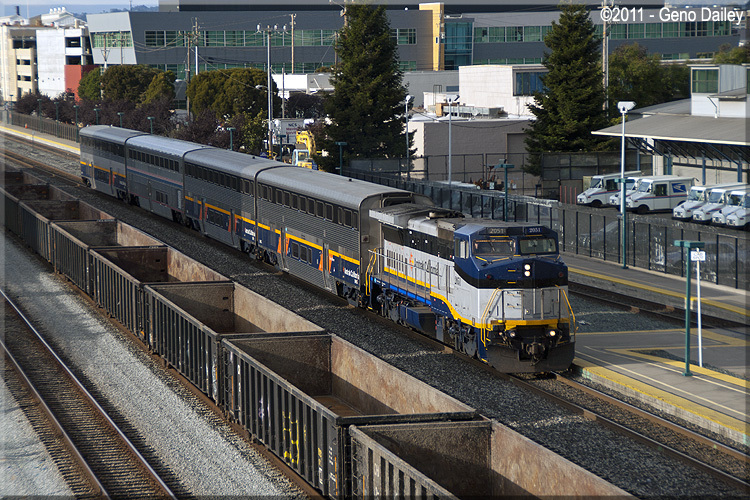 now arriving at Emeryville with P42DC #193 on the lead. 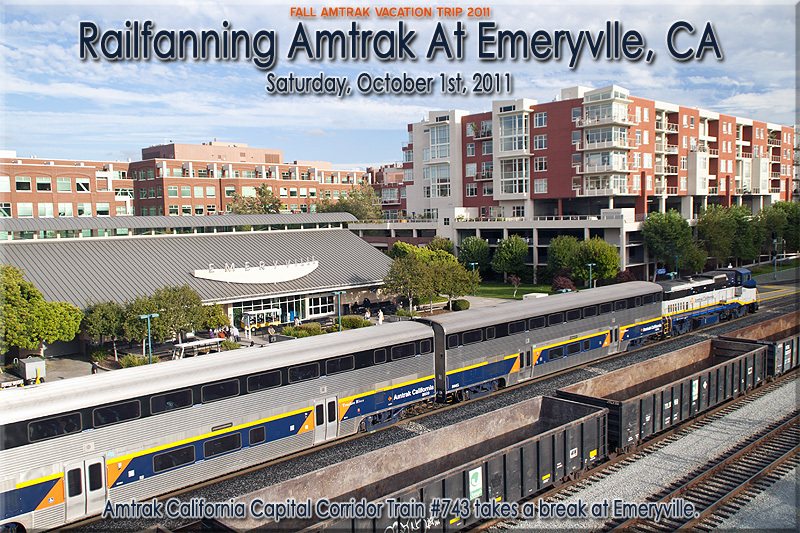 "Emeryville Welcomes All Amtrak California Zephyr Passengers". and turning as this train set will go back east tomorrow as Train #6.
be the car I was ticketed for originally, in Roomette #4! There's no doubt it felt really weird being here before the train arrived! 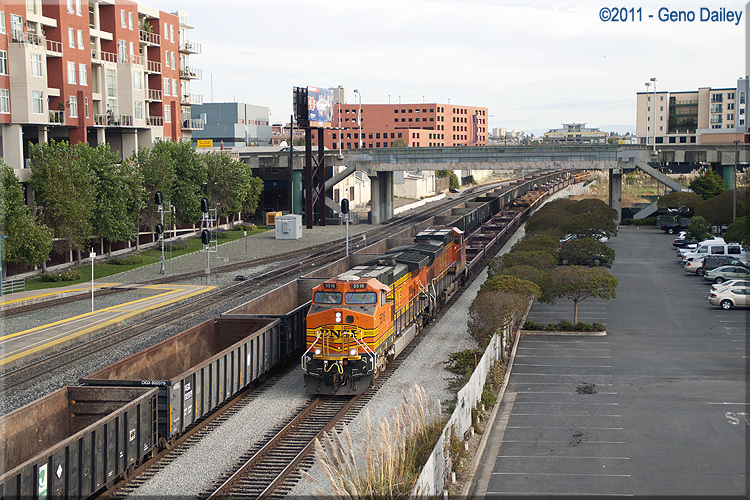 Here we have a westbound (northbound) BNSF freight. 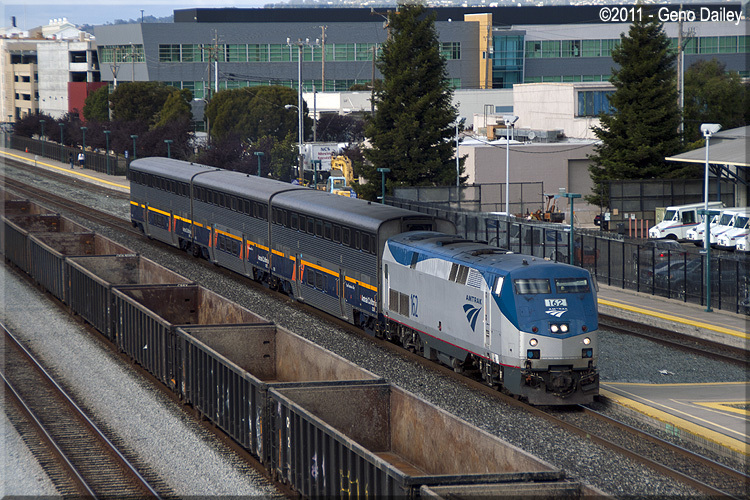 More than likely, this was a UP freight with BNSF power. 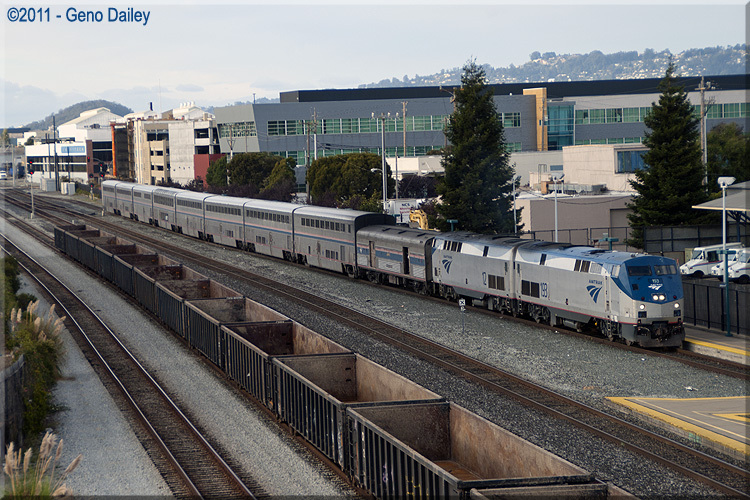 Heading out of Emeryville is Capital Corridor Train #742 with P42DC #55 pushing. 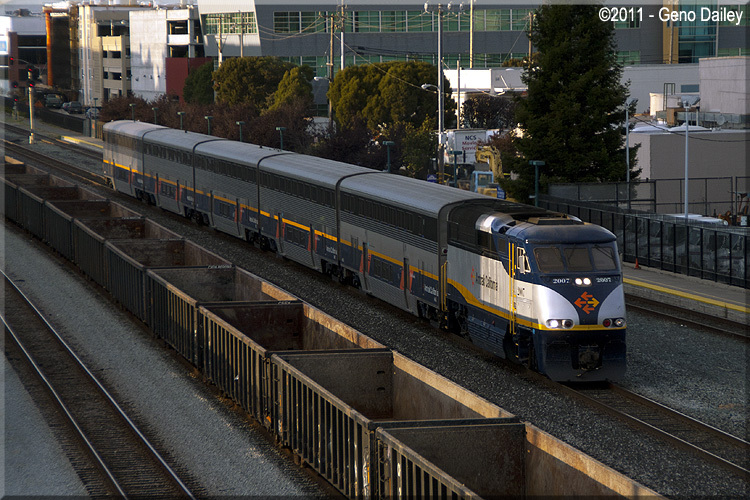 Next up is San Joaquin Train #718 departing Emeryville with F59PHI #2014 pushing. 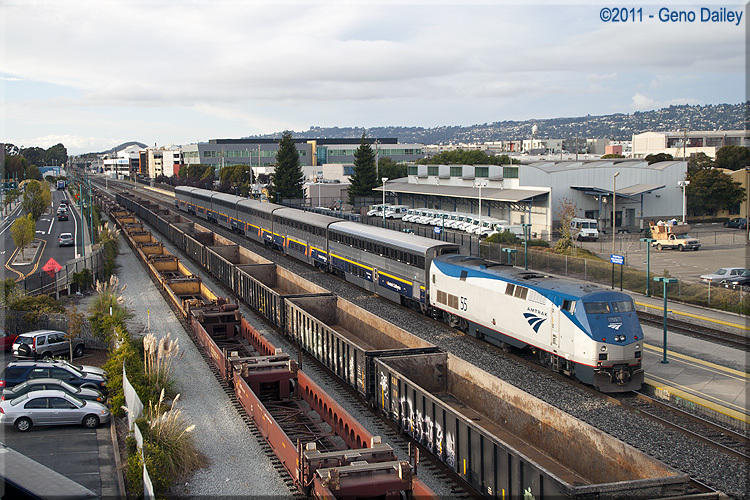 Finally, Capital Corridor Train #745 arrives at Emeryville with F59PHI #2007 on the lead. I decided around 6:30pm that it was time to leave since my parking pass was set to expire at 6:44pm anyway. 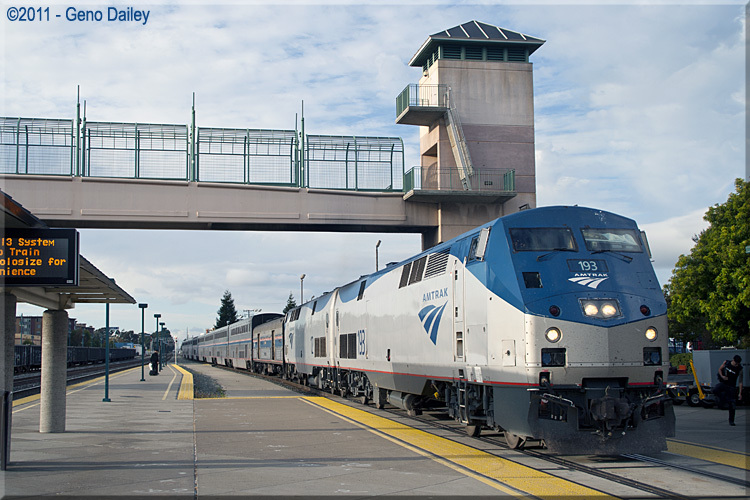 It was also getting dark by then anyway so I picked up a Diet Pepsi in the station and programmed the VZ Navigator to get me to Vacaville where my hotel for the next 4 nights would be located, the Courtyard By Marriott. Once I checked in the hotel, I walked over to a nearby Popeye's restaurant for dinner then walked back to the hotel and eventually called it a day. 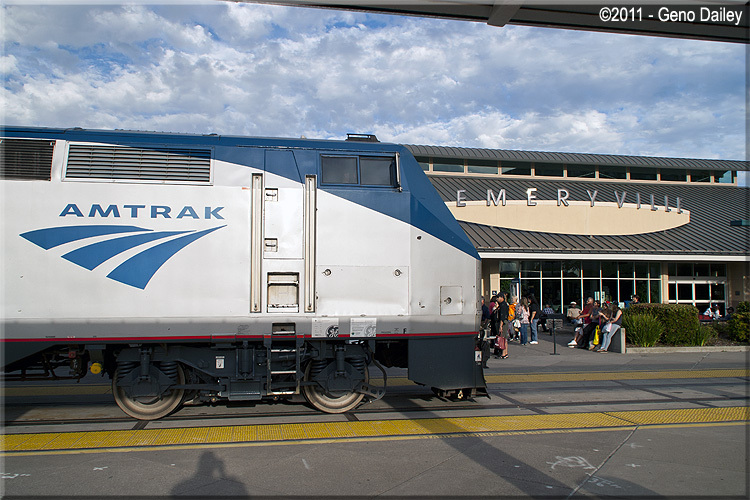 Tomorrow, I would be heading out to Napa, CA to ride the Napa Valley Wine Train. I would end up having a BEYOND WORLD CLASS experience on of the absolute FINEST trains in the entire country. TRUST ME, you won't want to miss this! Check out the link below!! !